I remember when the professor of my Bible class diagrammed for us a visual representation of the Last Supper. 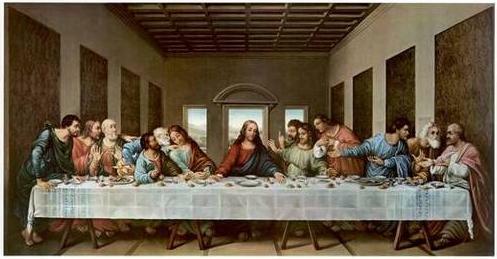 It was very different from the familiar “Last Supper” by Leonardo da Vinci that most of us have seen. In my recent trip to Israel, our group stopped by an olive tree wood shop in Bethlehem to check out souvenirs. The shop had hundreds of carved items including crosses, saints, angels, nativity scenes and so on. But, among all the items was one that caught my eye! When my professor and I both saw it we were like two little kids who had just found the best toy in the store. 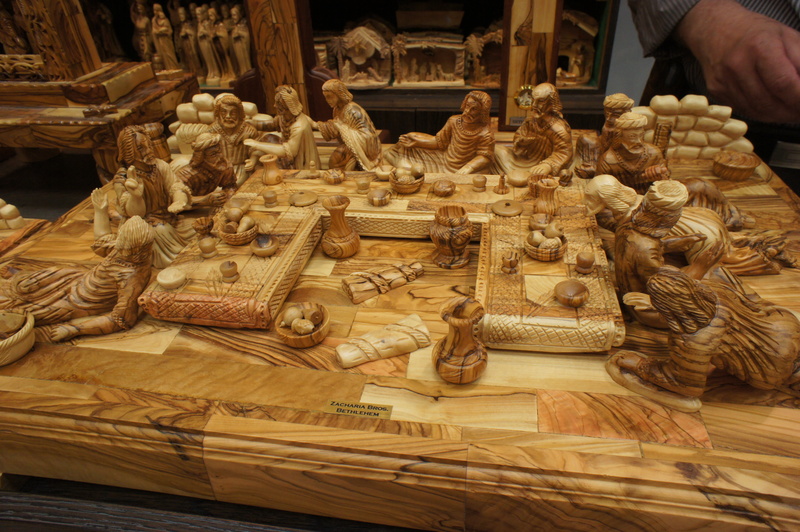 In this representation of the Last Supper, Jesus and His disciples sit at an “n” shaped table. The first seat on the lower left is the disciple, John. John is reclining back, looking at Jesus who is seated next to him in the second spot on the left, also know as the place/seat of honor. On the other side of Jesus is Judas. Peter would probably be the last disciple across the table on the right. In that time period, tables for eating were not high off the ground like they are today, they were low to the ground. People didn’t use chairs but rather they reclined to eat. Leaning on their left arm for support, their legs were to the back and they used the right hand to eat. To talk to the person next to you, one would lean back onto the others chest. For example, John would lean back onto Jesus’ chest to speak to him. Jesus would lean back onto Judas to speak with him. Interesting to think about the intimacy in the set up and then remember that Judas would stab Jesus in the back with betrayal just a short while after this supper.